(18/P027) TRENTON – As New Jersey heads into the spring forest fire season, the New Jersey Forest Fire Service is urging the public to be extra vigilant to help reduce the risk of wildfires. Nearly all wildfires are caused by people, through accidents, carelessness, negligence and even arson. Reducing those risks is especially critical at this time of year, when weather conditions and other factors can increase wildfire risk. During spring, trees and bushes do not yet have full leaves, which allows more sun to reach the forest floor and dry out any fallen leaves and pine needles. This dry underbrush acts as kindling for wildfire growth. To report a wildfire, call 9-1-1 or 1-877-WARN-DEP (1-877-927-6337). 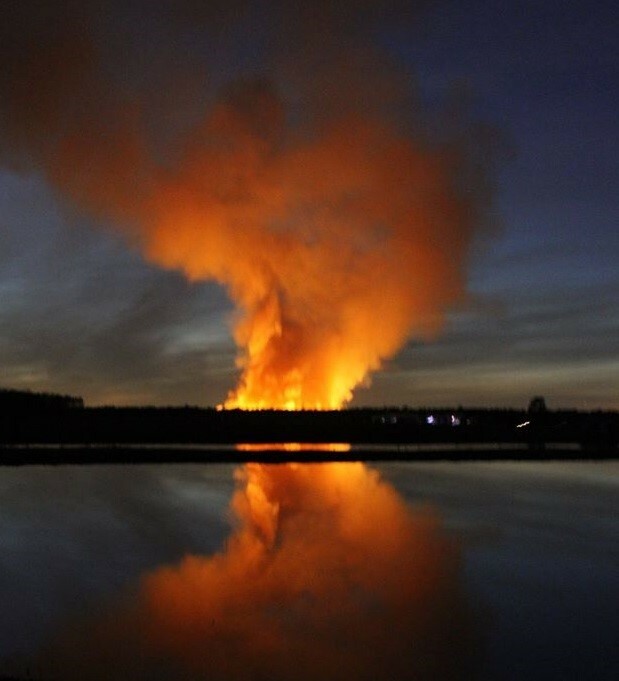 The Pinelands ecosystem, which covers a large swath of southern New Jersey, is especially vulnerable to wildfires because its predominant tree and shrub species are particularly flammable. In addition, this region tends to dry out quickly after rainfall because of its porous and sandy soils. Use ashtrays in vehicles and don’t discard cigarettes, matches and smoking materials on the ground. Obtain required permits for campfires from your nearest Forest Fire Service office. Don’t leave fires unattended, and douse them completely. Keep matches and lighters away from children. Teach your kids about fire safety. 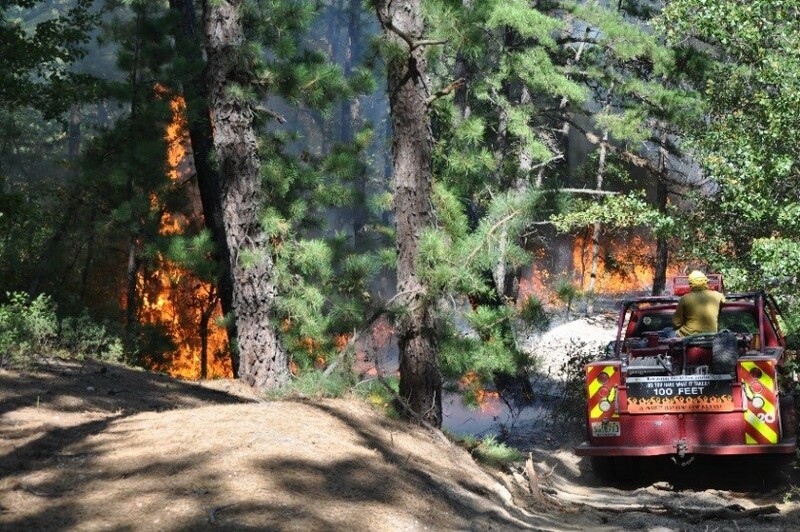 Protect structures from wildfire damage by creating space of at least 30 feet between homes and flammable vegetation in forested or wooded areas, and 100 feet from homes in the Pinelands region. These buffers should be free from vegetation that will burn easily, such as fallen leaves, pine needles, twigs and branches. Make sure firetrucks can access driveways. Use wood stoves and fireplaces carefully, since both can emit embers that spark fires. Fully douse ashes with water before disposal. The New Jersey Forest Fire Service works to prevent wildfires year-round through public outreach and education efforts, maintenance of fire breaks and prescribed burning. In addition, the Forest Fire Service uses a network of strategically placed fire towers staffed by trained observers to pinpoint fires and direct resources to them as quickly as possible. The Forest Fire Service also maintains a system of automated weather stations to monitor localized conditions. Another key component of wildfire control and ecosystem health is prescribed, or controlled, burning. This past winter and early spring, the Forest Fire Service has conducted prescribed burns on nearly 12,000 acres of woodlands and grasslands statewide. These controlled burns reduce fire risk and keep forests healthy by burning away fallen debris and undergrowth. Forest firefighters perform prescribed burning only during favorable weather conditions, to minimize any adverse impacts across the landscape. The New Jersey Forest Fire Service prevents the spread of larger wildfires by surrounding them with containment lines consisting of cleared breaks in the woods, existing roads and topographical features such as wetlands and rivers. Firefighters light backfires ahead of the main fire to eliminate combustible fuels and stop the main fire from advancing. The fires in the containment areas are monitored until they burn out. As part of its education efforts, the Forest Fire Service also reminds the public that owners of Unmanned Aerial Vehicles (UAVs), or drones, must keep their equipment away from active wildfire areas to avoid interfering with firefighting efforts. The Forest Fire Service regularly uses planes and helicopters to fight and observe fires. Areas near wildfires must be free of drones so firefighters can safely use their aircraft. Federal and state law prohibit use of UAVs over active wildfires.